How do you fix the Canon IR1530 drum? Unfortunately, we do not have this information. I would consider contacting Canon directly if the drum unit is broken. We supply replacement Canon IR-1530 drum units rather than offering advise on how to repair an existing one. Thanks to our low price promise you will not be able to find a cheaper offer on your brand new Canon IR-1530 toner cartridges. Our Canon toner cartridges have been constructed from the finest quality materials so as to make sure that you receive a very good deal. Do you have concerns about our products? We want to save your money and time by supplying you with free next day delivery for Canon IR-1530 toner cartridges. Cartridge Save support each and every purchase of top quality IR-1530 laser printer cartridges with a rock solid cash back guarantee to be certain of effective performance. We will happily give you a 100% refund in the unlikely event that a Canon IR1530 toner does not function as expected so why risk purchasing any toner cartridge via an untrustworthy source? Don't wait! Order now to save! 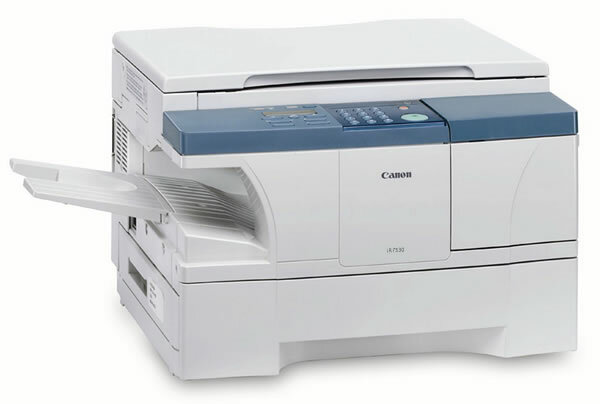 The Canon IR-1530 is a versatile photocopier for the small office. A monochrome laser print engine is integrated into the device, which promises speedy and high-quality output. The Canon ImageRUNNER ADVANCE IR-1530 copier comes with additional features that help improve productivity in the office, but the absence of colour printing could prevent some users from making the most of it. The Canon IR-1530 black and white laser printer is a compact and boxy device with a plastic enclosure and an understated design. The Canon IR1530 boasts a robust monochrome laser printer, a flatbed scanner, and a digital copier, a low capacity paper cassette at the bottom, and an automatic document feeder on top. The control panel of the Canon IR-1530 printer lies adjacent to the flatbed scanner, with the buttons centrally positioned. The 30-sheet automatic feeder lets users accomplish more in less time, and they can leave the Canon IR-1530 mono laser printer unattended while that feature is in use. Output is quite fast with print and copy speeds of up to 15ppm. A small workgroup can share the Canon IR-1530 laser printer through a network. The resolution can be enhanced to 1200x600dpi. The black Canon IR-1530 copier toner is easy to install and has a large capacity of 33,000 pages to enhance productivity. Only up to five users may share the IR1530 photocopier over a network, or the speed and overall performance will be severely compromised. The Canon ImageRUNNER 1530 does not have built-in networking capabilities and direct print options.